Hello there my fellow foodies! I feel like I’ve been neglecting you guys and my blog. I’ve been so busy with work and raising my daughter that I have barely had enough time to post all the recipes I have in my cue! This last week in particular has been trying, and I didn’t get around to posting a second recipe, so I’ll try to post 3 this week to make it up to you. My husband is a big fan of green beans, he would eat them every day of the week if I served them. This is a super quick and delicious way to serve green beans, and we all love green beans this way! Serve these with meatloaf and you have a winning dinner! Pre-heat your oven to 400F. Line a cookie sheet with foil. 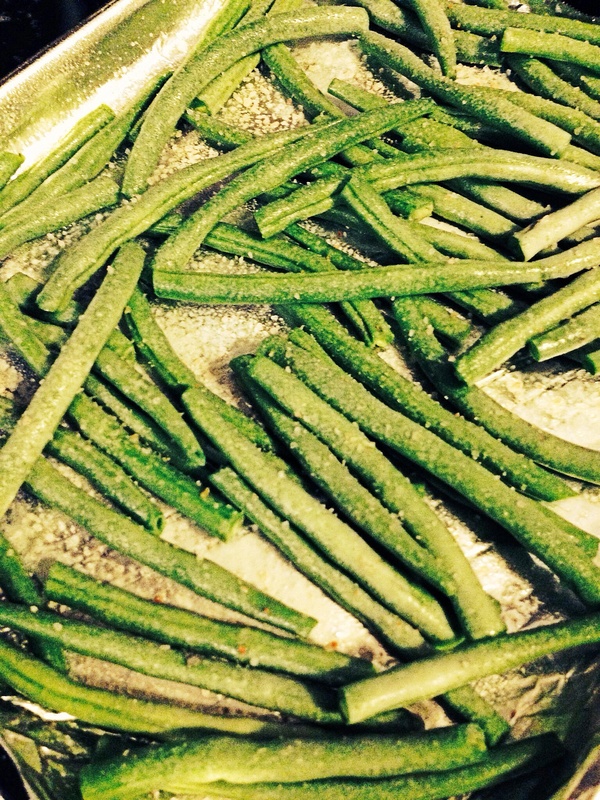 Place the green beans in a single layer on the cookie sheet. 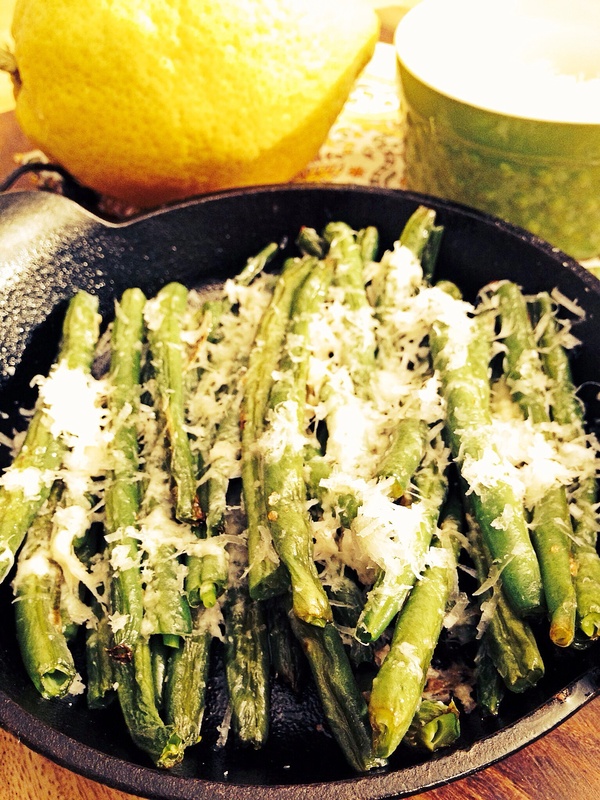 Drizzle the green beans with olive oil, and season with sea salt and black pepper. Bake for 10 minutes or until green beans are fork tender, then remove from oven top with grated cheese and bake for 1-2 minutes or until cheese melts. Remove from oven and enjoy! Share your favorite green bean recipe. 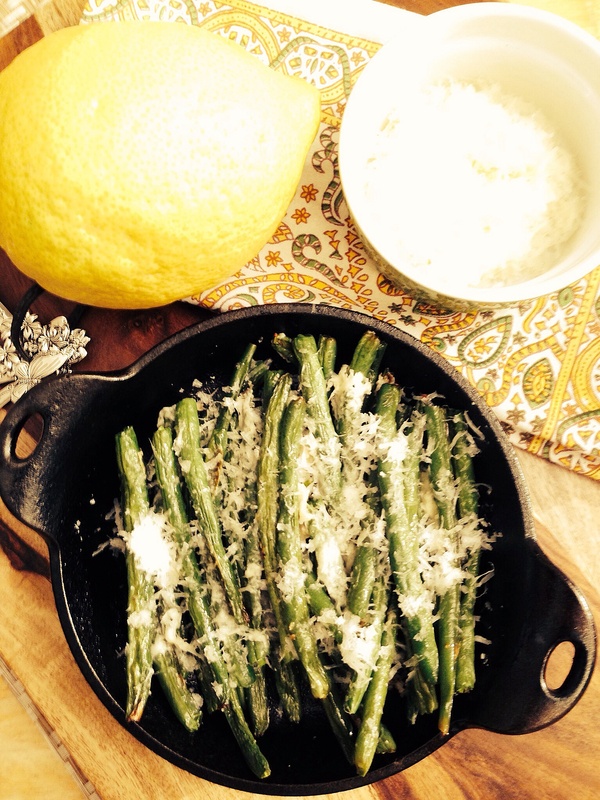 I could use some new ways to enjoy green beans! This entry was posted in Food and tagged gluten free, green beans, low carb, Paleo, Parmesan cheese, Percorino cheese, primal, quick fix meals, recipes, Side dish, vegetarian. Bookmark the permalink.